On Tuesday night at the Republican National Convention, Gov. 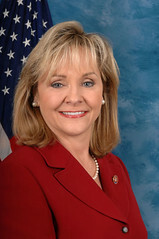 Mary Fallin will speak about the “spirit of Oklahoma” and how it apparently manifests itself in energy executive Harold Hamm, CEO of Continental Resources, according to a media report. But defining the “spirit” of anything or anyone is always problematic, and Hamm is an obvious if not crass political choice since he serves as an energy advisor to Republican presidential candidate Mitt Romney. The Oklahoma spirit, if such a thing exists, is much deeper and varied than a wealthy oilman producing the fossil fuels that create the carbon emissions that are slowly but steadily destroying the planet through global warming. Surely, Fallin will talk about other examples of the so-called Oklahoma spirit, including the state’s American Indian tribes and Will Rogers, but there’s one thing she’s not going to mention, and that’s the state’s long-term and current reliance on the federal government for its basic sustenance and viability. That would be considered blasphemy at the RNC, but then the truth is often perceived as blasphemy. Let’s be clear: The federal government is not the problem for Oklahoma; it’s the reason for Oklahoma. That line won’t get any applause at a Republican gathering. As I’ve outlined in some recent posts and as a recent Washington Post article clearly suggests, the state continues to feast at the federal trough even as it produces citizens expressing the Oklahoma spirit of biting the hand that feeds them or, in other words, posturing as terribly aggrieved small-government patriots. It’s all the federal government’s fault when, in fact, the government supplies, according to the most recent figures, $1.30 for every dollar the state pays in federal taxes. This is the state’s old story of post-World War II ingratitude, as much part of the Oklahoma spirit as anything else. But don’t worry. A recent editorial in The Oklahoman, the state’s largest newspaper, tells us that “Oklahomans aren’t any more or less ‘hypocritical’ than other folks.” That’s good to know, I guess, but where exactly in Oklahoma are those hypocritical limousine liberals to which the editorial refers. I don’t believe Wayne Coyne of the Flaming Lips rides around town in a limousine. Is it Kevin Durant of the Oklahoma City Thunder? Is he even liberal? Or is the editorial’s overall point that Oklahomans are just as hypocritical as folks in other red states such as Louisiana, Mississippi and Alabama, which also receive much more in federal dollars than they pay into the system? All those states will start to feel the brunt of Hurricane Isaac, fueled by the residual effect of global warming, right around the time Fallin extols the virtues of a wealthy oilman, and so we come full circle. This is certain: Those states hit hardest by Isaac will not only expect but demand the federal government help them out after the storm hits, and, by logical extension, therefore demand Massachusetts and New York citizens pay for their obliviousness. So goes the spirit in red-state America these days. Rich oilmen become demigods as the federal government continues to coddle its petulant children.